Each year, the Aircraft Electronics Association publishes the “Show Special” booklet, which is given to all qualifying attendees. If you have never attended the AEA Trade Show or have not committed to attending yet, this is not the year you want to miss. Each year, many more manufacturers have stepped up to give their dealers deep discounts during the AEA Trade Show only. Exhibitors - Submit your show special here. Details: Aero Express Inc. is offering refurbished DPS 400 Digital Air Data Testers (RVSM Test Set) for $7,995, regularly priced at $12,000, during the AEA Convention. Details: AIS is offering 10 percent off its Grab-N-Go Multi-Kits. These kits include 16-14BTMK (Blue Terminal Multi Kit), 22-16RTMK (Red Terminal Multi-Kit), MS21919WDGMK (Adel Clamp Multi-Kit), SUB-DMK (D-Sub Connector Multi-Kit), M81969-14MK (Insertion/Extraction Tool Multi-Kit), TY4-11MK (Ty-Wrap Multi-Kit), HS116-38MK (Heat Shrink Multi-Kit), and MOLEX06-MK (Molex Connector Multi-Kit). Details: AIS is offering 10 percent off tooling and calibration services through ATEC (Avionics Test Equipment Calibration), its premier tooling and test equipment calibration and repair facility. Details: As a token of gratitude to its loyal customers, AIS would like to thank you for a great 2012 by offering a 10 percent discount on orders placed during the show for all in-stock items, including: installation supplies, wire and coax, laser wire marking orders and much more. Offer excludes test equipment, ELTs and EATON products. Details: AIS is offering $100 off the dealer price if one SAC 7-35 is purchased during the AEA Convention; buy two SAC 7-35s and get $200 off each; or buy three SAC 7-35s and get $300 off each. Details: AIS is offering $100 off the dealer price if two STX 165s are purchased during the AEA Convention. Details: Astronics AES is offering the dealers its popular EMPOWER In-Seat Power Supply System, a limited-time discount. Buy a complete system consisting of inverter, three outlet units and installation kits, and receive an additional 10 percent discount. Offer is good for attendees at the AEA Convention. Order must be placed and delivered during the month of April, does not apply to current orders and is limited to five complete systems. Details: AvionTEq is offering a $250 discount on any new or refurbished avionics test equipment with an eligible trade-in. Details: AvionTEq is offering a $200 discount on any refurbished avionics test equipment. Details: AvionTEq is offering one free calibration on any ATEQ ADSE Air Data Test Set or a $250 discount on your next purchase of any ATEQ ADSE Test Set. Details: Avotek, provider of AMT instructional books and training systems, is offering a special online ordering discount exclusively to AEA members. A 15 percent discount is being offered on any textbook published by Avotek for the remainder of the 2013 calendar year. This includes the two newest volumes on avionics for those preparing for NCATT certification. The promo code for the AEA online ordering discount is available at the Avotek booth - No. 330. Details: Barfield New Product Offer - DFQ40K, p/n 101-01501. Barfield is offering a 15 percent discount when you purchase a new Digital Fuel Quantity Test Set before Aug. 1, 2013. 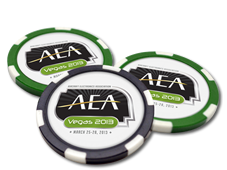 Must use code “AEADFQ2013” to receive this special and be an attendee of the AEA Convention. Details: Barfield is offering 20 percent off the total calibration - OEM Calibration Service - to AEA attendees when you mention code “AEACAL2013.” Offer expires Aug. 1, 2013. Details: Cobra Systems Inc. is honored to extend a $300 discount on all accessory kits purchased before May 1, 2013. Please mention discount code AEA300 to redeem this offer. Offer applies to all new orders placed with Cobra Systems Inc. from March 25 through April 30, 2013. Discount will be applied to all accessory kits ordered by specified date. No limit to discount. Details: D.L.S. Electronic Systems Inc. is offering a 10 percent discount, up to $1,000, on any EMC and/or environmental compliance project placed during the AEA Convention. Coupon is available at its booth, No. 513. Details: EDMO Distributors is offering a 10 percent discount on any wire and cable or laser wire marking purchase of $1,000 or more during the AEA Convention. Mention coupon code “AEAWIRE” when you place your order. Details: Express Calibration Services is offering $150 off a calibration of an IFR 4000 or IFR 6000 to attendees during the AEA Convention. No cash value. Details: FreeFlight is offering $2,000 off list price of a complete R4500 shipset when combined with a new purchase of Sandel st3400h. Details: Stay “right on schedule” and receive great discounts from Garmin by enrolling to take scheduled deliveries on some of our most popular avionics. Sign up during the AEA Convention and Trade Show to take scheduled orders each month on any one of the qualifying items below and receive terrific AEA attending-level discounts on all orders during the 12-month period: GTN 750 series, GTN 650 series, GTS 8XX series, GMA 350/35*, GTX 330/33 series*. Details: In addition to the introductory offer of a 10 percent discount already available on the JA95-001 audio controller, Jupiter Avionics is pleased to offer an extra 15 percent discount off the dealer price for AEA convention attendees. This offer is limited to one unit per customer. Details: Mid-Continent Instruments and Avionics is offering a $500 trade-in value for any serviceable PS-835 or PS-855 Emergency Power Supply toward the purchase of a TS835 Emergency Power Supply (part number MD835-1 or MD835-5). The $500 trade-in will be credited back when the serviceable core is returned. Must be in attendance during the AEA Convention. This offer expires May 31, 2013. Details: Millennium International is offering a free evaluation on EFIS equipment to attendees of the AEA Convention. Expires May 2013. Details: Purchase a single system, SA4550 Primary Attitude & SN4500 Primary Navigation Display, and receive $1,500 off the net price. Details: Purchase dual systems, two each of the SA4550 Primary Attitude & SN4500 Primary Navigation Display, and receive $4,000 off the net price. Details: Purchase a single system, SG102 AHRS & SN4500 Primary Navigation Display, and receive $1,000 off the net price. Details: Purchase a single system, SG102 AHRS & SN3500 Primary Navigation Display, and receive $500 off the net price. Details: Sandia Aerospace is offering $100 off the dealer price if you buy one SAC 7-35 during the AEA Convention; buy two SAC 7-35s and get $200 off each; or buy three SAC 7-35s and get $300 off each. Details: Sandia Aerospace is offering $100 off the dealer price if you buy two STX 165s during the AEA Convention. Details: Experience its 56-year legacy for meticulous repairs. During the AEA Convention, TGH Aviation is offering up to $300 off your next repair or overhaul. Stop by our booth No. 319 for details.